CQ10 help neutralize sun and environmental damage for healthy, revitalized skin. 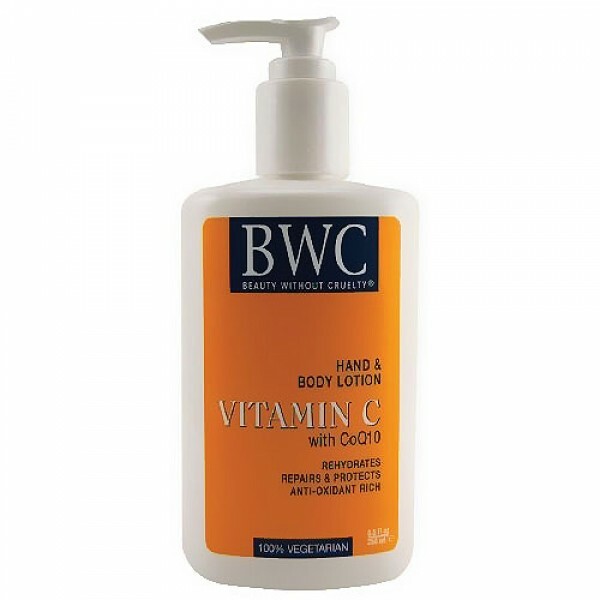 BWC Vitamin C Hand and Body Lotion moisturizes, rejuvenates, and protects for soft, smooth, youthful-looking skin. Active anti-oxidants vitamin C and CQ10 help neutralize sun and environmental damage for healthy, revitalized skin. Natures own premium rosa rubiginosa and tamanu repair and promote cellular regeneration while natural plant humectants replenish your skin with needed moisture. premium botanicals and premium aroma-therapeutic essential oils nurture, balance, and tone while rich emollients soothe and protect. Benefits for all skin types. Purified water, glycerin, Helianthus annuus (sunflower) oil, glyceryl stearate, cetyl alcohol, stearyl alcohol, Carthamus tinctorius (safflower) seed oil, Aloe barbadensis (aloe vera) leaf juice, stearic acid, allantoin, panthenol, sodium pca, magnesium ascorbyl phosphate, Macrocystis pyrifera (kelp) extract, Salvia officinalis (sage) extract, Prostanthera melissifolia (balm mint) extract, Anthemis nobilis (chamomile) extract, Rosmarinus officinalis (rosemary) extract, Hibiscus syriacus (althea) extract, Thymus serpyllum (wild thyme) extract, Tussilago farfara (coltsfoot) extract, Achillea millefolium (yarrow) extract, Equisetum arvense (horsetail) extract, ubiquinone (CoQ-10), Simmondsia chinensis (jojoba) oil, Butyrospermum parkii (shea) butter, Linum usitatissimum (flax) seed oil, Prunus dulcis (sweet almond) oil, tocopherol, Arnica montana (arnica) extract, Aleurites moluccans (kukui) nut oil, soy lecithin, phenoxyethanol, ethyl hexyl glycerin, benzyl alcohol, Lavandula hybrida (lavandin) oil, Cympobogon martinii (palmarosa) oil, Cananga odorata (ylang ylang) oil, Litsea cubeba (litsea) oil. 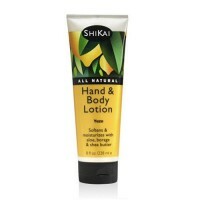 13% Organic Content Organic ingredients. Vitamin C.
Massage over skin daily as needed. 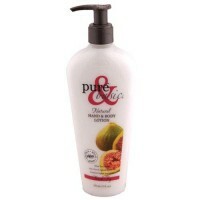 For maximum moisturizing benefits, use after bath or shower.